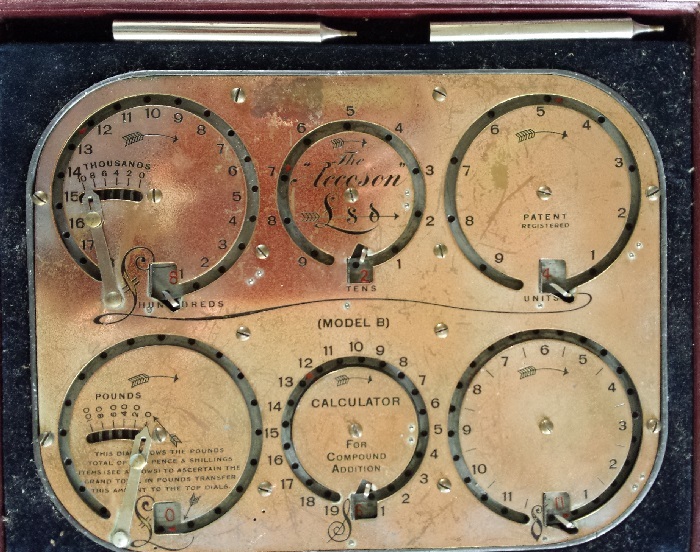 The Accoson calculator is extremely rare, and a beautiful early example of a pre-decimal British pounds, shillings, and pence calculator. 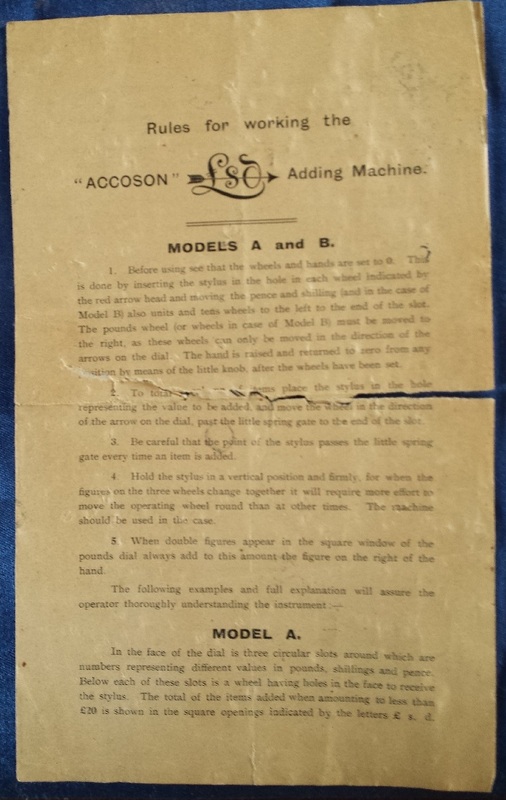 The Model B sports a double configuration for increased capacity to ten thousand pounds! 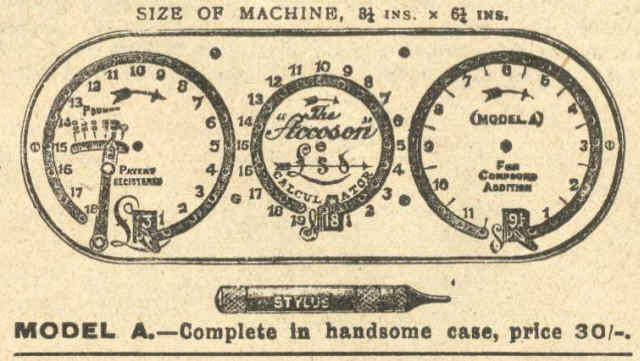 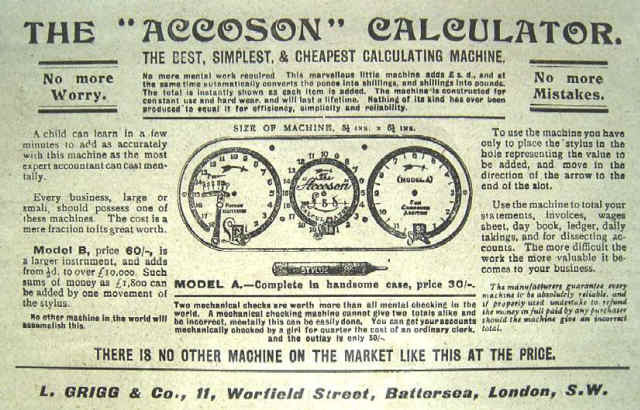 Shown above and below is an ad for the Accoson Calculator Model A, which appears to be similar to the BriCal Model C (see the BriCal page) but with the interesting addition of a ratchet arm on the left side to count up to a 100 £. 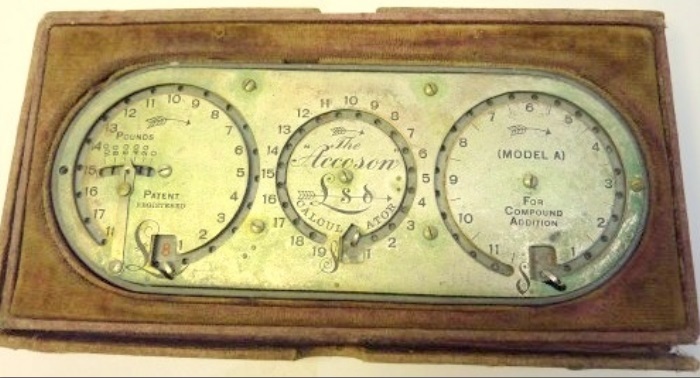 If you have any information or photos about this calculator, please send me a note. 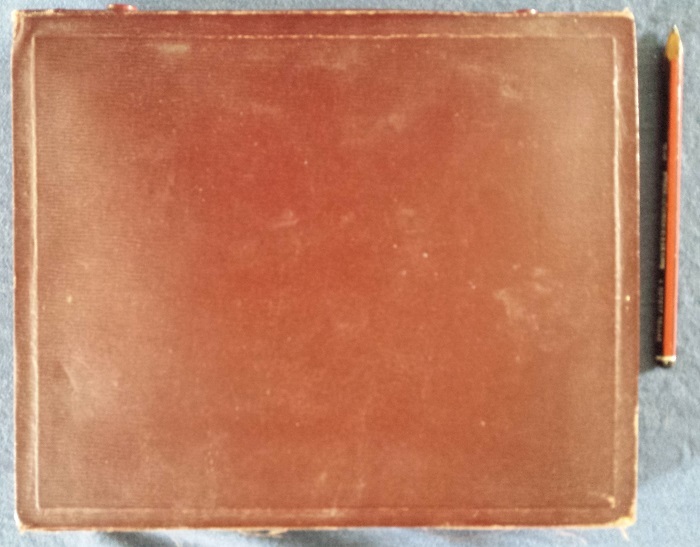 Danke schön to Volker Geppert for providing these images.